Bullyan RV has the facilities and the qualified, customer friendly-staff to provide you with all your RV service needs. From the smallest repair, general maintenance, hitch and tow package installations, to the biggest job. We provide estimates and work with your insurance companies. Our service department has ample experience with large insurance jobs, such as hail damage, water damage, accidents, and more. With three service writers, Bullyan RV takes the time to better understand your needs, meet them in a timely manner, and make sure your experience in our service department is a pleasant one. We are an authorized warranty center for Winnebago, Grand Design, Keystone, Forrest River, Coachmen and many more. With the assistance of our Certified RV Warranty Administrator we can accommodate your warranty and recall needs as well. Bullyan RV has 24 service bays with Master Certified Technicians that receive annual training. Our Technicians take pride in their work and have the tools and knowledge to provide you with all your RV service needs. 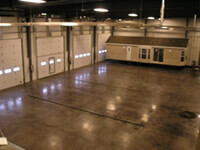 We have also recently added a detail department with a large wash bay. From a simple wash or vacuum to a detailed wax and shampoo. We have the staff and equipment to make your RV shine, inside and out. If you have any RV parts or accessories that need to be installed our RV service department can install the part for you. 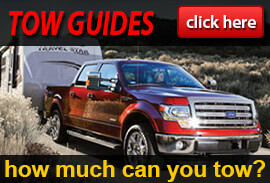 Or, if you are looking for a new RV, check out what we currently have in stock! See our Video Gallery to see some of them for yourself! As always, contact us today with any additional questions you might have.